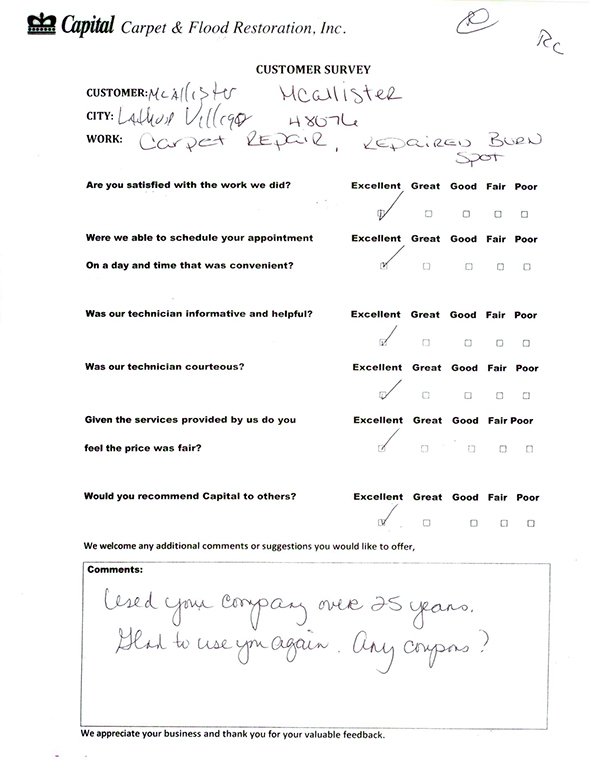 Customer Testimonial: "Used your company over 25 years. Glad to use you again. Any coupons?"